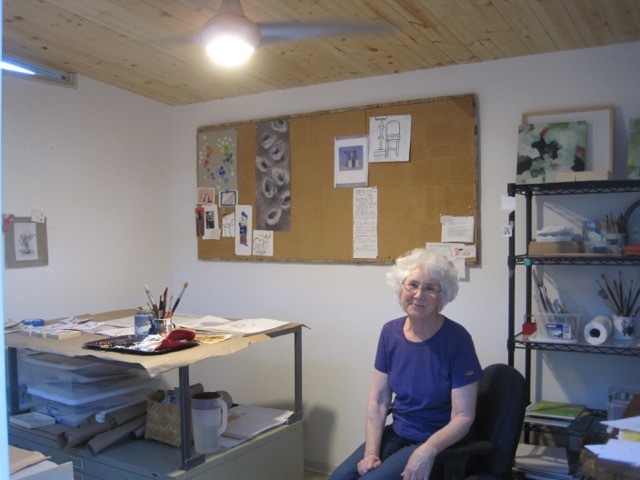 Elizabeth, an artist, draws and works with acrylics, watercolor and more, but every time the couple had a visitor, she had to move her work out of the guest room she’d been using as a studio. Friends have told Byron and Elzabeth that the shed makes their garden look bigger. 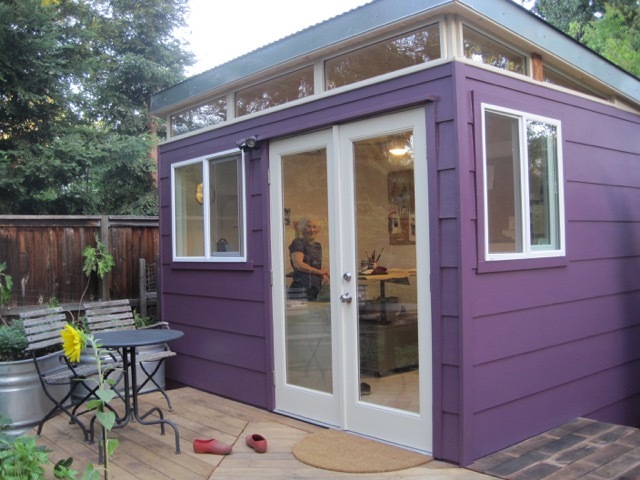 The couple explored a few options, but picked Modern-Shed because they liked the look of the units and how responsive Mike Probach from the Modern-Shed the sales team was. 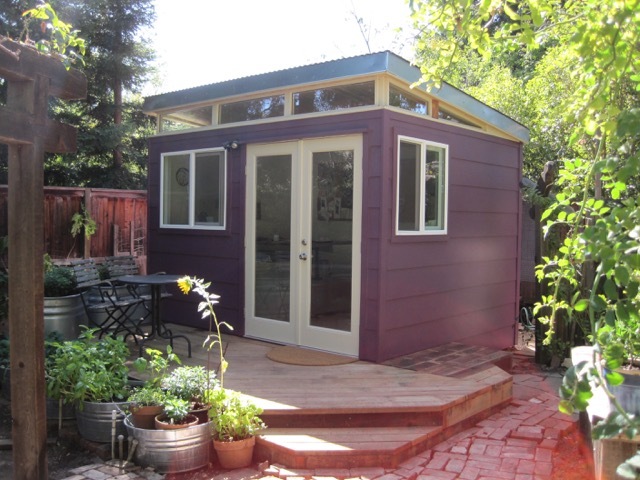 Elizabeth’s cozy 10’ by 12’ studio, with lush purple exterior walls, sits in a corner of their backyard, overlooking her garden. 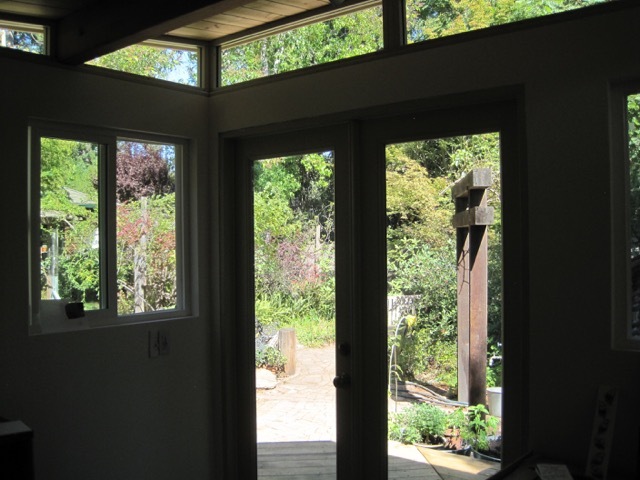 Byron and Elizabeth recommend thinking about window placement and other egress when planning a Modern-Shed. 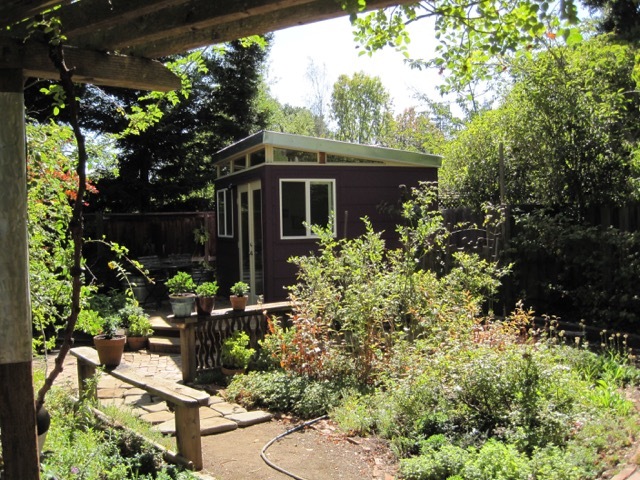 Oddly enough, even though the Modern-Shed art studio takes up space on their ¼-acre lot, more than one friend has commented that the shed makes the couple’s backyard look bigger. The couple’s Modern-Shed was installed in mid-August, with everything going smoothly. Elizabeth enjoying her new studio. They recommend that other potential Modern-Shed customers think carefully about what they want before installation so that the process goes as smooth as theirs did.